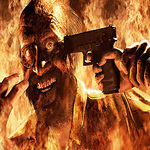 Replaces Leon's DLC Noir costume with him cosplaying as the ultimate badass John Mayor from Deep Fear, a 1998 SEGA rip-off of Resident Evil that far surpassed the original Resident Evils in hilarity with its CG FMV graphics and terrible voice acting. 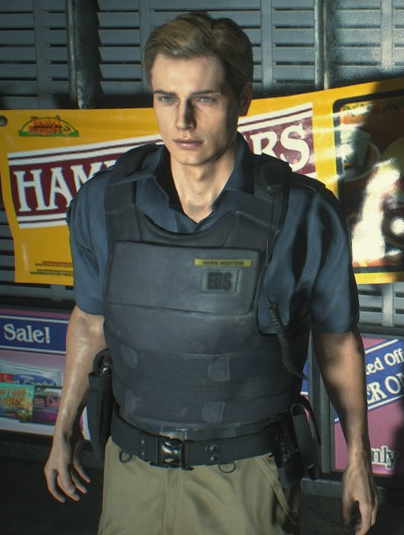 Here's the mod manager, just put that version in its RE2 Remake folder - [modmanager]\Games\RE2R\Mods and install it through the manager itself. To install the standalone, make a backup of your original *Game Directory*/920561/re_dlc_000.pak and drop your files into the game directory so the .pak in the downloaded files takes place of your original .pak and the natives folder rests in the same folder as the .exe. Seeing how the tags are just drawn on the weirdly rigged vest, they'll bend and stretch along with it. Don't know if I could do anything about it with proper tools. Hair looks weird when wet. Kinda dark. Not sure if fixable. I'm unable to remove the badge patches on his shoulders right now, so all I did is just desaturate them for now. When the proper tools come I might remove them, maybe even add a watch on his left arm. Some other smaller issues like items floating at the root point between the character's feet and weird skinning on the back of the vest. Thanks! Hope it works for everyone else after the Ghost Survivors update. Good to see the true masterpiece, Deep Fear, get some love. Between this, the mod for Regina and Dylan from Dino Crisis, and the '98 models Capcom released this game is turning into the Smash Brothers of late 90s survival horror. This looks great but for some reason I can’t get it to work I installed using the manager but the regular noir costume still shows in game. Any advice? Try to uninstall all mods, re-read game archives in the mod list menu and install only this mod.